Enhance your home’s interior design with this Reveal by Erin Ashley Painting Print on Canvas. Part of Art & Home’s magnificent Canvas Wall Art collection. The Canvas On Demand this stunning ‘Reveal’ by Erin Ashley Art Print on Canvas. Reveal by Erin Ashley. Abstract painting of two uneven bands of color separated by a darker area of scratches and markings. This striking piece is just one of the scores of exceptional furniture & decor products that Art & Home has picked to help you beautify your home. To arrange this Art & Home has connected with many of the World’s most recognized manufacturers & retailers of fine home decor and furnishings to bring you some of the most remarkable home decor and furniture products available on the market today. 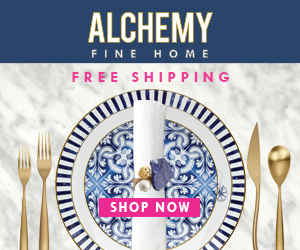 Through this and other collaborations, Art & Home is uniquely capable to provide you with access to tons of fine home decor products and save you the time & inconvenience of researching dozens of different retail websites. From Wall Decor to Display Cabinets to Tapestries, Art & Home prides itself on bringing together the most beautiful furniture & decor so that you can create the home of your dreams. As a family owned and operated company, Art & Home knows how important it is to love your home. Buying from our retail partners is fast & effortless. Simply click on the Unlock Current Deal  button above to see the complete details, current pricing, and generate a shipping estimate to your location. We hope you enjoy discovering this superb collection as much as we enjoyed curating it.